Do you ever pick up a bottle of wine that doesn’t quite taste right? Perhaps it is too sharp, sweet or skunky, or maybe its just not any good. Well do not fret, or pour that bottle down the drain, a recent study has put facts behind the legend that cheese can improve almost any wine! 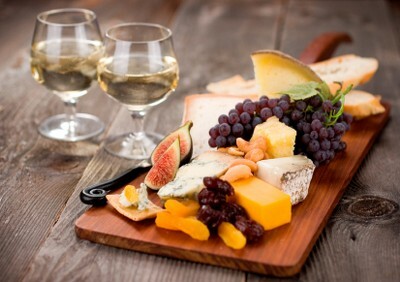 A recent study conducted by the Center for Taste and Feeing Behavior in Dijon, France has published an article in the Journal of Food Science providing hard evidence that cheese improves the taste of wine. 31 so-called wine experts rated four types of wine (two red, two white, with flavors across the spectrum) before and after pairing them with a variety of soft and hard cheeses. After the cheese was eaten almost every wine scored higher. Examples of how the cheese improved the wine included the reds losing some astringency and gaining fruity flavors. So, if you are heading to the Rey today, make sure to pair your cheap wine purchases with some cheese!